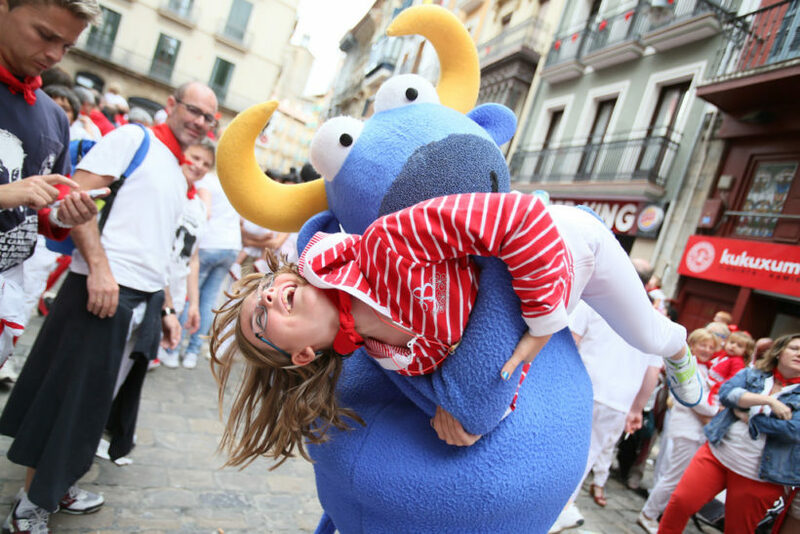 Mr. Testis simply cannot be left alone during Sanfermin, because at the very least opportunity he gets himself into a knot, wherever he may be. Be it out on the town at all hours with glass in hand, or be it trotting on the course of the Running of the Bulls or just annoying any poor soul who crosses his path. However, if the truth be told, he is also clearly the number one favorite among the kiddies and among the grandparents.